Scaffolding hire Bristol: Chew Valley Scaffolding provides a fast, reliable and safe service for domestic, commercial and industrial customers. CVSS has been established for over 20 years, our team of professional and qualified operatives offer a friendly, safe and efficient service making the whole experience easier for the client. Our scaffolders cover Bristol, Bath and the surrounding area. We are available around the clock to erect or dismantle to suit particular circumstances, and our scaffold hire in Bristol will always be tailored to your exact needs. 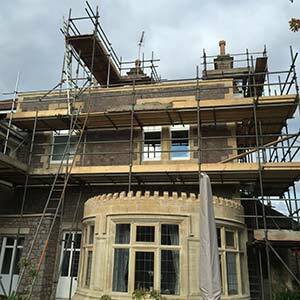 Chew Valley Scaffolding in Bristol provides a wide range of scaffolding services for all situations and locations. We supply scaffolding for all types of domestic work including painting, fascias, chimney access, roof works and other maintenance. We also erect scaffolding for larger scale commercial and industrial maintenance and building projects. Our scaffolding can be hired for any length of time and we are very experienced in constructing Bristol scaffolding over and above pedestrianised areas in commercial situations. We are always open to unusual and bespoke scaffold requirements, including internal temporary staging or art display walls for instance. Our skilled team will work sensitively in many environments to deliver a scaffolding solution to suit any event or function. We are fully insured with a public liability of £10 million and we are a VAT registered company. Remember we are here to make your life easier!